MyPhone Rio Goes Sold Out! In just a day or two after MyPhone Rio became available in select stores, it immediately sold out. Those who wanted to buy had to make a reservation for the device – a practice unheard of with local smartphones. However, many MyPhone Rio owners also sold their units after a few days or hours! 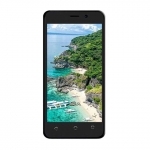 This is troubling since MyPhone Rio appears to be a very good deal given its price and specs. Hence, we compiled the pros and cons of MyPhone Rio as your guide to buy it or not. 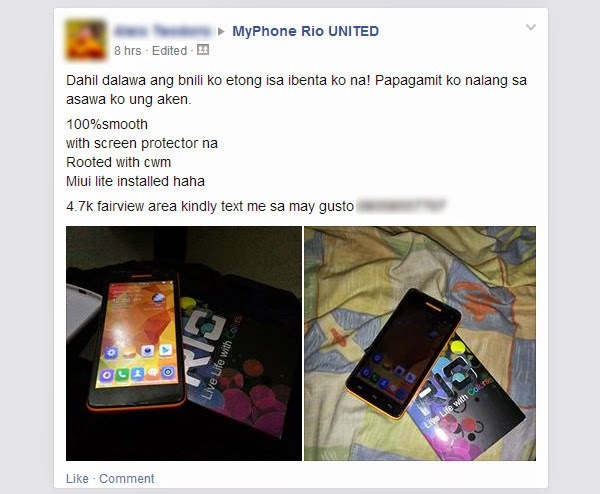 A MyPhone Rio user sells one of his units on Facebook. 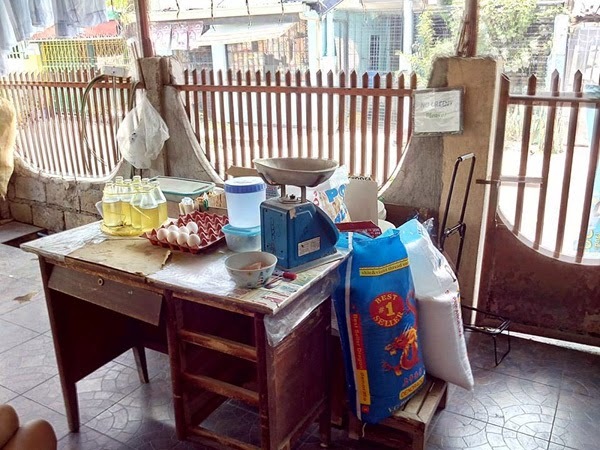 Advantage # 1: Very affordable price – ₱4,999 only! Price is definitely a big deal with Pinoys. When MyPhone announced that MyPhone Rio will sell for just under 5k, it immediately became a huge hit! There were rumors that the ₱4,999 price tag is just an introductory one and that it will eventually go up to ₱7,999 after a month. The rumor started when someone posted a fake MyPhone poster on Facebook saying so. However, a MyPhone sales representative debunked the rumor and said that MyPhone Rio’s SRP is just ₱4,999. One of the main selling points for MyPhone Rio is the availability of 7 colors for its back cover. By choosing red or yellow, a MyPhone Rio user can express his or her personality with a smartphone. Some also like it because it simply looks cute. A further look into these colorful back covers reveal that they are made of polycarbonate plastic just like those found in Nokia Lumia and Nokia X. Its matte texture also prevents smudges and finger prints from ruining the beauty of the device. 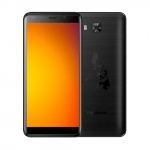 The price of MyPhone Rio is seemingly very low when its specs are considered. The quad core processor, 1GB of RAM and HD display can be sounds like the specs of a flagship phone last year and cost more than ₱8,000. 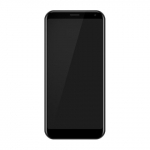 See also: MyPhone Rio complete specs. 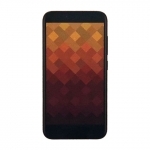 Other local brands tend to compromise specs so that it can offer a very affordable device. Pinoys are sick of this marketing tactic. We want to want to have the best specs at the most affordable price! Despite the quad core processor and Mali-400 GPU, there are still some lags while opening some apps or just going to one page to the next on MyPhone Rio. 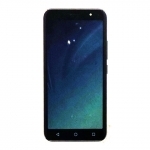 This can be attributed to the high definition display that gives a huge strain on the graphics processor. MyPhone Rio also prevents installing apps to the micro SD card. This is a big issue since it only has 4GB of internal storage with only about a quarter of that available for apps. These issues can be fixed, however, by installing a new ROM with a few performance tweaks. After taking a few pictures with MyPhone Rio, several users cried out that the picture quality isn’t that great. Well, what do they expect for an 8 MP camera? If you want a smartphone with a very good camera, just skip MyPhone Rio. But if your photography needs is just for normal photos for gatherings and events, MyPhone Rio will do just fine. MyPhone Rio Sample Picture by Benjamin Jr Barrosa Gorospe. Some people also pointed out that MyPhone Rio is just too big for them or too colorful especially the blue one. Others raised a better concern regarding the display which doesn’t have a scratch resistant layer or even OGS technology. That means you need a screen protector (2 comes free with each package of MyPhone Rio) which further degrades the quality of the display. These are the things that you have to live with if you decide to buy a MyPhone Rio. If you find them hard to accept, like us on Facebook and we’ll update you on the next smartphone that might suit your needs. 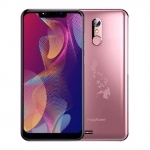 If you already own a MyPhone Rio, add a comment below with the advantages and disadvantages you experienced but weren’t listed above.